Turn Photos into Digital Pictures to Preserve Forever with our Service! What is a Photo Scanning Service? Why Scan and Digitize my Photo Collection? How our Photo Scanning Service works! What are my Photo Scanning Options? 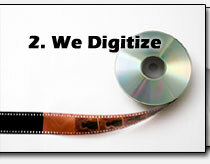 We also offer scanning and digitizing services for your other media! Photo Scanning customer comments and News! What is a Photo Scanning Service? and Why Scan Photos to Digital? We make digital pictures from your paper photos. Our photo scanning service converts and transfers your traditional photo collection into digital pictures. You’ll receive high resolution digital pictures made from your photos bringing your traditional photo collection into the digital age. Your photos will be preserved after being digitized so you'll never worry about a fire, flood, or disaster again! You’ll be able to view your old photos on your computer, edit them, easily create reprints of your photos, share the old photos online or through email with family and friends, and everything else you do with digital photos. Your photo scans will work just like any other digital photo you’re used to working with! We also offer slide scanning services, photo album scanning, 35mm negative scanning services, and APS/Advantix film scanning services. Our process is simple. You send us your traditional photos, we scan and digitize them, we securely ship your original photos and new digital photos back to you, you then enjoy your new Digital Memories! We’ve worked with thousands of people just like you. We offer options for Families, for Special Snapshots, and for Professional Photographers. We think trust is important when choosing a provider to transfer your photos. Please take ten minutes and get to know us by viewing the rest of our web site. When you're ready to get started it’s as simple as downloading an order form to send in with your photos. Click below to learn more about how our photo scanning service works. Access your digital memories from any computer, from your iPad or iPhone, and share them with family and friends on Facebook, or through email with just a few mouse clicks. MiMedia's service backups up more than photos though! It's a robust service giving you access to all your photos, home videos, your entire music collection, and any important document saved on your computer, iPhone, or tablet. 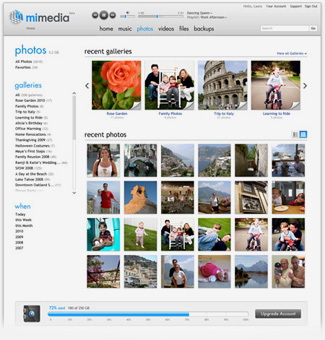 MiMedia bridges the gap between devices and makes all your digital content available anytime anywhere. 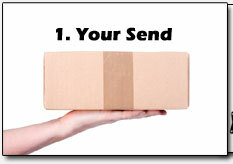 Best of all, your sixty day trial is included FREE with our photo transfer service. We'll even upload your scans free of charge. Click below to learn more. Ever used a photo scanning service before? If not don't worry! We’ve made the experience easy for you. You don’t need a degree in digital imaging to take advantage of our photo scanning service. We’ve created three all inclusive options that contain everything you’ll need to have a successful photo transfer. Click the “Learn More” button below and we’ll walk you through the details. It’s that simple. In addition to our photo scanning services we offer scanning and digitizing services to convert your slides, negatives, APS/Advantix cartridges, and photo albums into digital images. We’re your complete scanning and digitizing solution. We know that scanning your photos is just one piece of the puzzle. Browse the links below to learn about our other scanning services. Our slide scan service will make that old slide collection digital. We have what it takes to make your old slides into digital pictures. Our slide scanning services will make the old project or screen obsolete. Click the link below to learn more about our slide scanning and digitizing services. Our negative scan service is perfect for converting your traditional negatives into digital images. Transferring your negatives into digital images saved on CD or DVD is the perfect way to preserve the family photo collection while gaining all the benefits of digital photography with your traditional negatives. Learn more about digitizing your negatives by clicking below. Our APS / Advantix film scan services are the perfect way bring your APS/Advantix cartridges into the digital age. We'll create high resolution digital pictures from your APS cartridges that work just like any other digital picture. Convert your APS/Advantix film into digital pictures with our scanning service. Learn more about our film scanning service by clicking below. 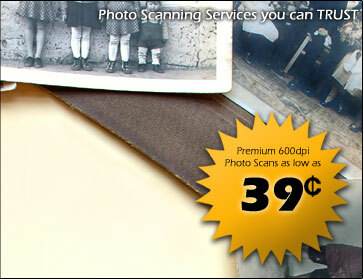 Our photo scan service is essential if you plan to preserve that old fading photo collection for the next generation. Our photo transfer service will digitize your traditional photo collection making it easy to share photos, re-print photos, edit photos, and scrapbook without destroying your originals. Digitizing your photos is safe and easy with our service. Get started by transferring your photos into digital images today. 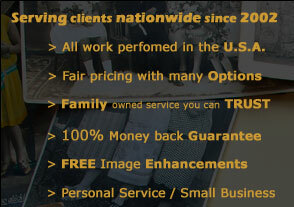 Learn more about our photo conversion service by clicking below. Our photo album scan service is very convenient. Simply send us your photo albums and we'll digitize each photo individually ensuring that those photo albums are preserved. Learn more about photo album scanning and digitizing by clicking below. We’ve helped thousands of people just like you. 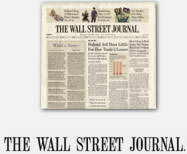 We’ve also been featured and reviewed in a few national publications, most notably U.S. News & World Report, and the Wall Street Journal. Below are just a few of the comments we’ve received from truly satisfied customers. Thanks for all your good work on my 40th Anniversary order. I really appreciate being able to send you my treasured family photos and know that you will take good care of them and produce a CD that enables me to work with Kodak Easy Share Gallery to publish a memorable photobook. I got my scans yesterday - you guys are awesome! They are done so well. I had had them done a couple years ago - paid more than what you charged and it was soooo bad I threw it all away. I'm also really glad to find out you're a family-owned small biz. If you need references, you can sure use me! Thanks again. I rec'd my CD today, thanks for your rush on this non-expedited order. Just wanted you to know that I received my slides and cd's today. I have burned several cd's for my children so they can have the collections also. I am so glad that I found your business on line. They now will have 40 years of memories of their growing up and the many good times they experience through birthday parties, trips, school functions, and holidays during their early years. Thank you again for helping me accomplish something that I thought would never happen! I received my pictures yesterday. I couldn't be happier...that was just what I needed! I sat here and looked at pictures from my beautiful wedding almost 5 years ago and I thought of my husband for a good hour. I can't wait for him to come home on R&R and see these too! (He is in Iraq right now). I showed them to my daughter and she kept saying "Mama!! Dada!! Look! Dada!" It was great and wonderful! Thank you so very much again. I love them!